Set up to provide transport to the communities of Wincanton, Bruton, Castle Cary and the surrounding villages. We are a limited company and a registered charity, and as a non-profit-making business all the money we take goes back to provide the service. Whether it's your weekly shop in the supermarket or a trip to the hospital for an appointment, we can help you. 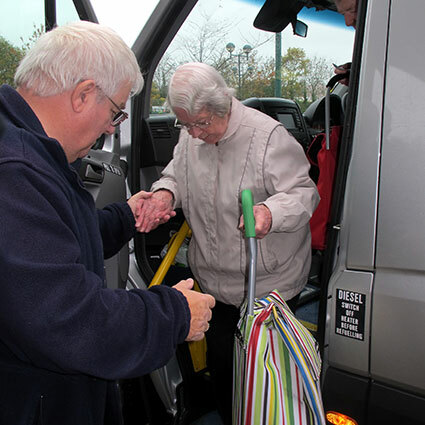 We have several buses that make trips to the local towns and supermarkets and we have volunteer drivers with their own cars if you need to go further afield for a hospital appointment. 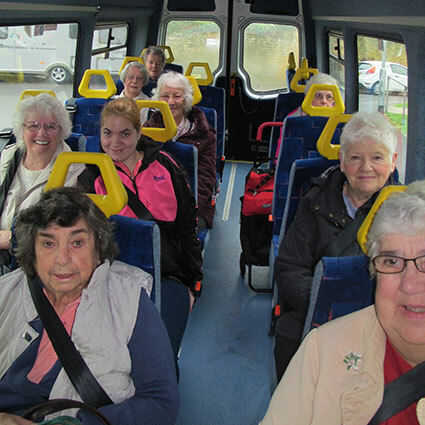 Our 16 seater minibuses are out every day, providing a friendly door - to - door service. 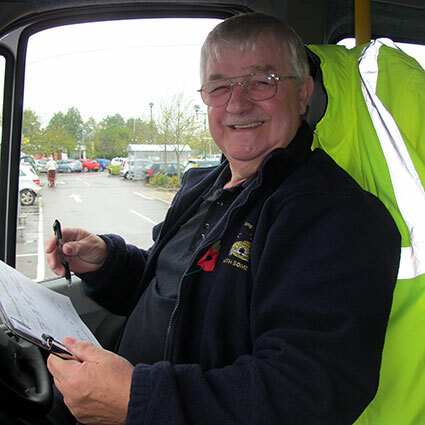 Our drivers will help you onto the bus if you need it, and carry your shopping for you. 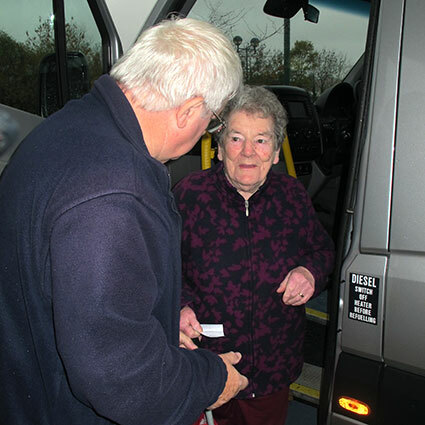 The transport is availlable to people of all ages who cannot use the normal bus route for whatever reason - our buses have wheelchair access and can accomodate one wheelchair on any journey. To use the service, sign up to the scheme and then ring to book your journey. Holders of a local authority bus pass can travel at a reduced fare - just register your pass with us first. The map shows the parishes we operate the bus in and you can travel anywhere within these areas. Anyone with mobility problems, or experiencing diffiulcuties reaching other destinations, we may still be able to help you - talk to us! (If your browser does not show the map, click here to download a pdf version of the map in a new tab). 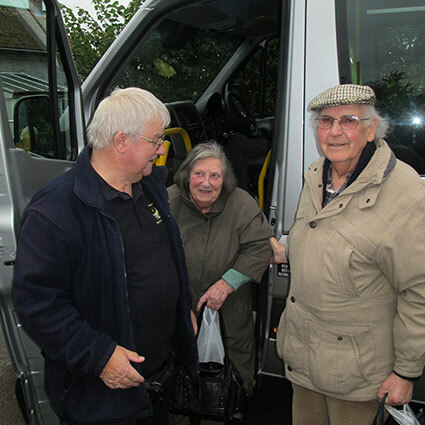 The buses run Monday to Friday, 0800 to 1800, but for groups we will operate on evenings and at weekends. If you need to travel outside these hours, call us to discuss what you need and we may still be able to help you. NB: Full fares apply from 0800 to 0930 (No concessions). and then you pay for any journey you make. The area map shows the 4 main areas, and each area is divided into 3 or 4 zones. The fare is worked out on the number of zones you cross on your journey. Travel beween the East / West divide in the same zone in North / South areas will cost an additional £1.00 above the zonal fare. Fares for travel to places outside the operating area - e.g to Yeovil or Sherborne - will be assessed at the time of booking. They are based on the distance and the length of time the be will be out of the operating area. Anyone holding a National bus pass will travel at a concessionary rate - just register your pass number with us before your first trip. Children under 5 travel free, under 16's travel at half of the adult fare. Scroll down the page for a table of the different zones. What else can you do with the CAT Bus? Hire it! Get a group of friends together and go further afield for a shopping trip. It can work out cheaper than other forms of public transport and you'll get door - to - door service - no waiting for the train. And we can help get your shopping to the door. Not all public transport will get you to that remote beauty spot. 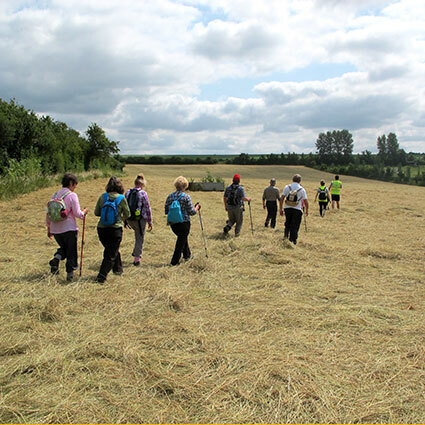 The Balsam Centre walkers use the bus for one-off trips - it's perfect when you want to walk a non-circular route e.g on the coast; we can pick you up at the other end. Hire the bus to take you all to lunch - no arguments about who's driving. 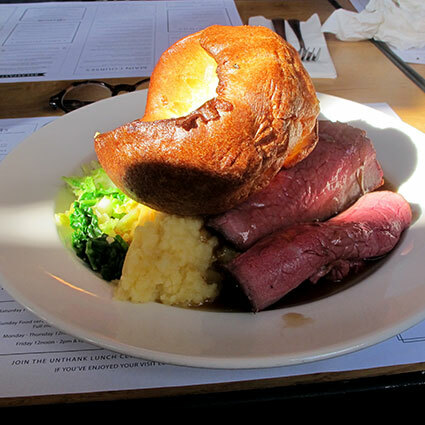 Treat the team, Christmas lunch for your community group, team away fixtures.... Endless possibilities! The bus can take 16 passengers and the cost is worked out at a cost per mile plus an hourly rate for the driver. Call us and we will be able to work out a full cost for you. 01963 33864. HOW MUCH DOES T COST? Registered Charity Number 1101645 © Copyright Ring & Ride, The Balsam Centre, Balsam Park, Wincanton, BA9 9HB. Website designed in-house by Netty.